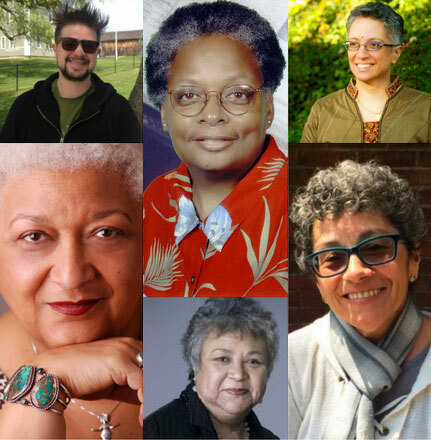 All accomplished in their own right, the six members of the Acey Social Justice Feminist Award Nominating Committee helped Astraea identify this year’s Acey Award honorees. We thank them for helping us illuminate the lives and legacies of these four women, and to raise awareness about LGBT aging and the power of multigenerational activism. Mandy Carter is a southern African-American lesbian social justice activist with a 50-year movement history of social, racial and LGBT justice organizing since 1967. Raised in two orphanages and a foster home for her first 18 years, Ms. Carter attributes the influences of the Quaker-based American Friends Service Committee, the former Institute for the Study of Nonviolence, and the pacifist-based War Resisters League for her sustained multi-racial and multi-issue organizing. But, it was specifically her participation in the Dr. Martin Luther King Jr. inspired 1968 Poor People’s Campaign organized by the Southern Christian Leadership Conference (SCLC) that solidified her sustained commitment to nonviolence. Ms. Carter helped co-found two groundbreaking organizations, Southerners On New Ground (SONG) and the National Black Justice Coalition (NBJC). SONG, founded in 1993, is about building progressive movement across the South by creating transformative models of organizing that connects race, class, culture, gender, sexual orientation and gender identity. She served as its Executive Director from 2003-2005. Ms. Carter is the national coordinator of the Bayard Rustin Commemoration Project of the NBJC, a national organizing effort to acknowledge, honor, and celebrate black gay civil rights activist Bayard Rustin. Underscoring the importance of electoral politics in social change movements, Ms. Carter was one of the five national co-chairs of Obama LGBT Pride, the national LGBT infrastructure for Barack Obama’s historic 2008 presidential campaign and win. She has been the recipient of awards from many human rights and community organizations to acknowledge her achievements, including a Spirit of Justice Award from GLAD for advancing LGBT rights. Ms. Carter lives in Durham, North Carolina. 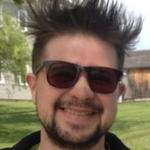 Miles Goff is a queer transguy born and raised in the Northeast Kingdom of Vermont. Miles received his BA in Critical Social Thought from Mount Holyoke College and is now pursuing his Masters of Divinity at Union Theological Seminary. Before coming to Union, he worked for over six years at the Astraea Lesbian Foundation for Justice. Miles gets excited about nature, grassroots fundraising and biblical languages. He serves as a Community Minister at Judson Memorial Church in New York. 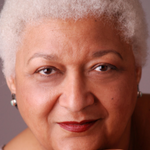 Jewelle Gomez (Cape Verdean/Ioway/Wampanoag) is the author of seven books including the double Lambda Literary Award-winning, Black, lesbian vampire novel, THE GILDA STORIES, in print continuously since 1991. Its 25th anniversary special edition will be published by City Lights Books in April 2016. Her adaptation of the book for the stage, “Bones and Ash,” was commissioned and performed by the New York-based Urban Bush Women Company and toured 13 US cities. Her play about an imagined moment of indecision in the life of author/activist James Baldwin, “Waiting for Giovanni,” premiered in San Francisco in 2011. Her new play is about singer/composer Alberta Hunter, “Leaving the Blues” and will premier in 2017 at New Conservatory Theatre Center (SF). Her fiction, non-fiction and poetry are included in over one hundred anthologies; among them: HOME GIRLS – a Black Feminist Anthology (1983), the OXFORD WORLD TREASURY OF LOVE STORIES (1995), DARK MATTER-100 Years of African American Speculative Fiction (2000), and RED INDIAN ROAD WEST (2015). She has written essays, literary, and film criticism for numerous publications including The Village Voice, MS Magazine, The Advocate, Essence Magazine, Callaloo, and Wellesley’s Women’s Review of Books. She was on the original staff of one of the first weekly Black television shows in the country, Say Brother, (WGBH). She was also on the founding boards of the Gay & Lesbian Alliance Against Defamation (GLAAD), the Astraea Lesbian Foundation and the Open Meadows Foundation. She was also a co-founder of the philanthropic/educational organization 100 Lesbians & Our Friends. She is the former President of the San Francisco Public Library Commission. She has taught creative writing and popular culture at San Francisco State University, Hunter College (NYC), New College of California, Menlo College (CA), and the Osher Life Long Learning Center (CA). She’s lectured at institutions of higher learning around the country from Bates College (ME) to Washington State University. She’s read her work at bookstores and other venues across the US and in Europe. 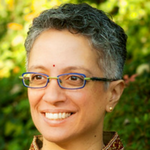 Vega Subramaniam has been involved in LGBTQ organizing since 1983 when she came out as a lesbian, and active in the South Asian queer community since 1997. She is a co-founder of Trikone-NW, an organization supporting LGBTQ South Asians in the Pacific Northwest. She has also volunteered with a variety of LGBTQ organizations, including Trikone (San Francisco), Pride Foundation (Pacific Northwest), Rainbow Dragon Fund (DC area), and NQAPIA (national). She is currently a founding steering committee member of the Queer South Asian National Network. In 2004, Vega and her wife Mala were one of the plaintiff couples in Washington State’s marriage equality lawsuit. Vega has facilitated leadership workshops, given conference keynote addresses, and presented cultural competency trainings for local and national organizations. Professionally, Vega is a career coach and nonprofit consultant with Vega Mala Consulting. Her specialties include career transition, intentional life planning, productivity and time management, and cultural competency. Vega has taught sociology and worked in student services at Penn State University, Western Washington University, and the University of Washington. Her nonprofit and philanthropic work focuses on immigrant rights, LGBTQ equality, racial and gender justice, and education equity. 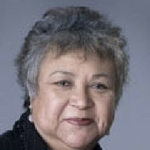 Olga Talamante became the first Executive Director of the Chicana Latina Foundation in January 2003. Prior to this position, she was the Western Region Vice President of INROADS, a career and leadership development organization aimed at Latino, African American and Native American college students pursuing careers in business and engineering. In that position, she supervised the organization’s 12 regional offices located throughout the western United States and in Mexico. 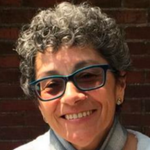 Ms. Talamante is well known for her community activism and has worked with several service-providing and public advocacy agencies, including Head Start, the YMCA, the American Friends Service Committee, and the Argentine Commission for Human Rights. Some of her awards include: “Most Influential Latinos in the San Francisco Bay Area”, from the SF Business Times and SF Hispanic Chamber of Commerce, “Heroes and Heroines of the Latino Community”, from KQED-TV, the Diversity Award from Hispanic Magazine, the San Francisco Bay Girl Scout Council DAISY Award, and the “Women Making History Award” from the San Francisco Commission on the Status of Women. She was honored four years ago as a Community Grand Marshall for the San Francisco Gay Pride Parade and recently received an Honorary Doctorate degree from the University of San Francisco. Currently she serves on the boards of Horizons Foundation, the Greenlining Institute and El Concilio of San Mateo County. She is also active with GELAAM, a Latino LGBT organization in San Mateo County and with the Latino Forum of the San Francisco LGBT Center. Ms. Talamante’s family came from Mexico to Gilroy in the early 1960’s and worked as farmworkers in the Santa Clara Valley. She received her B.A. in Latin American Studies from the University of California at Santa Cruz. 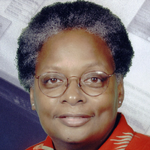 Katherine Acey served as the Executive Director of Astraea Lesbian Foundation for Justice for twenty-three years (1987 – 2010). Under her stewardship Astraea established the nation’s first Lesbian Writers Fund in 1990, created the International Fund for Sexual Minorities in 1996 and in 2006 launched the U.S. Movement Building Initiative to support people of color LGBTQ organizations to collectively build their power and voice. From 1982 – 1987 Katherine was the Associate Director of the North Star Fund in New York City, overseeing its grants programs and participating in donor engagement and fundraising. She was involved in the Women’s Funding Network since its inception, serving as a founding board member and chair. She is also a founding member and past chair of the Funders for LGBT Issues and has served as a board or advisory member to countless organizations. Current affiliations include: Board Member and Treasurer for both the International Network of Women’s Funds and Political Research Associates; Steering Committee, Public Foundations Project; Advisory Committee, Pipeline Project; and Advisory Committee, OSF LGBT Initiative. Until her departure from Astraea she served on the Steering Committee of the Global Philanthropy Project: Expanding Resources for LGBT People. The Women’s Funding Network honored Katherine for her leadership in building a multi-cultural women’s funding movement. Other honors include the Cross Cultural Black Women’s Studies Institute for International Women’s Leadership Award, the NYC National Organization for Women Susan B. Anthony Award, the Women & Philanthropy LEAD Award, the FEX Vision Award for achievements in social justice, the Lambda Legal Defense and Education Liberty Award and the Women e-news 21 Leaders for the 21st Century Award.